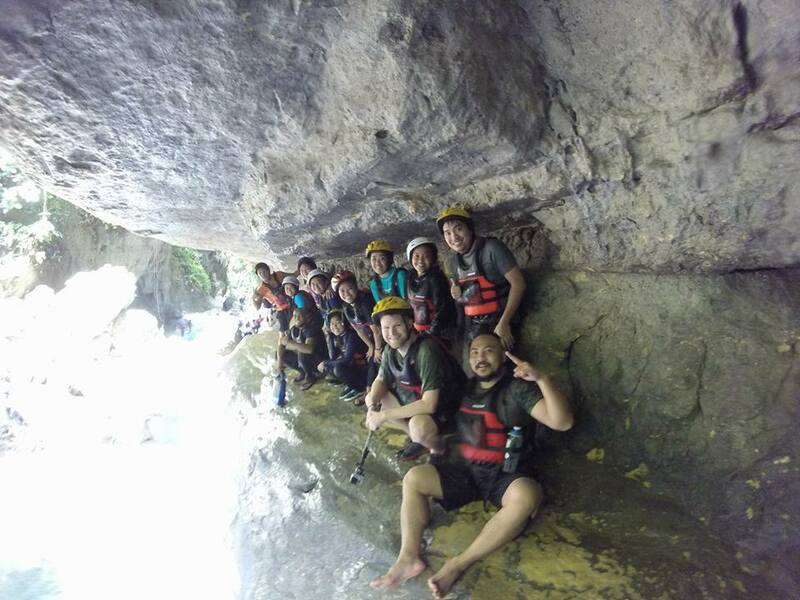 A year after, I was about to dismiss the idea of being able to experience another cliffjumping activity when a colleague asked if I have tried canyoneering already. Just imagine how bubbly I was with the topic, as if I was able to go there already. She shared that she and her girl friends are interested to do the activity. Ola! 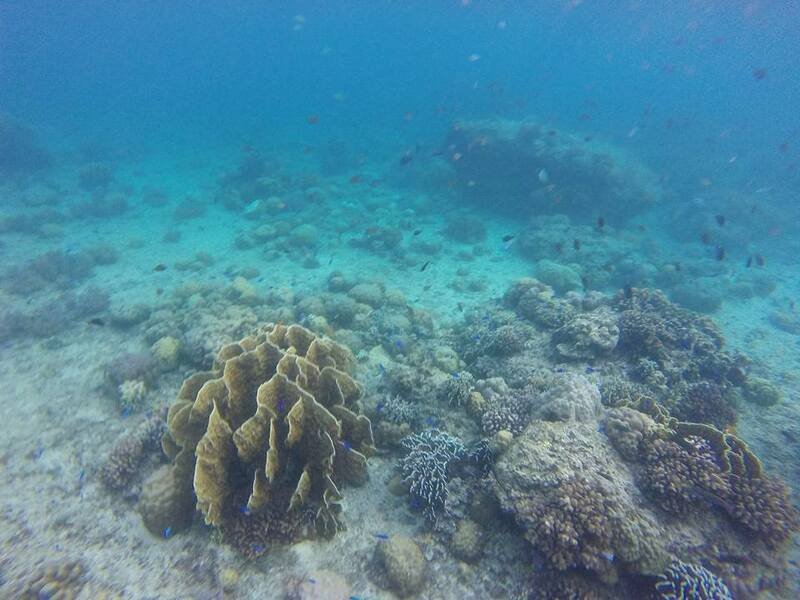 In an instant, I dug my contacts, researches and itineraries and book our reservations for the activity. (Told you, I have been planning for this for a hundred years already HAHAHA). We were able to contact Sir Raymund, who has been guiding a lot of guests (including famous celebrities) for almost a year. Thanks to him, we no longer need to go through the hassles of looking for transportation, accommodation, food, registration stuff, and equipment. 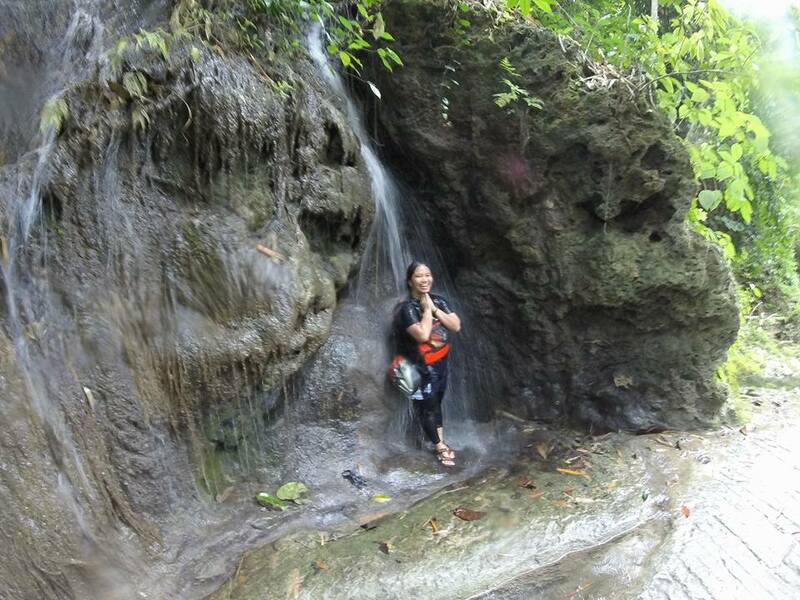 Together with two other master tour guides (Kuya Joseph and someone whose name I could no longer recall), we were able to do all the stunts (cliffjumps, sliding, backfall, aand of course, swimming) safely and cautiously. See you all in my next adventures! 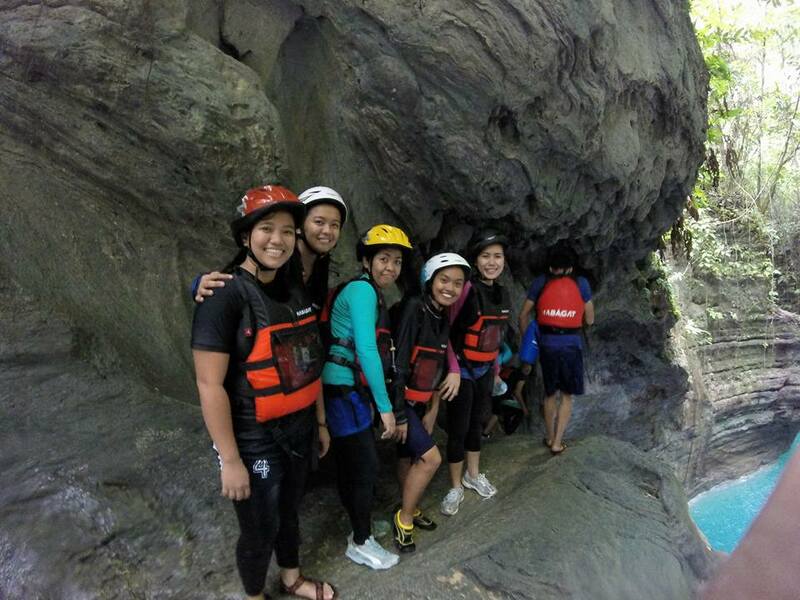 How can we contact tour guides for the canyoneering activity? There are lots of tour guides hovering the Internet but you can also contact Sir Raymund through his facebook account (Raymund Sande) or call or text his number 0932-607-9016 / 0915-139-2249. How much will the whole activity cost? I suggest that you go in groups so that you can divide the payment among yourselves. There is a significant difference if there’s only two of you and if you are in a group. 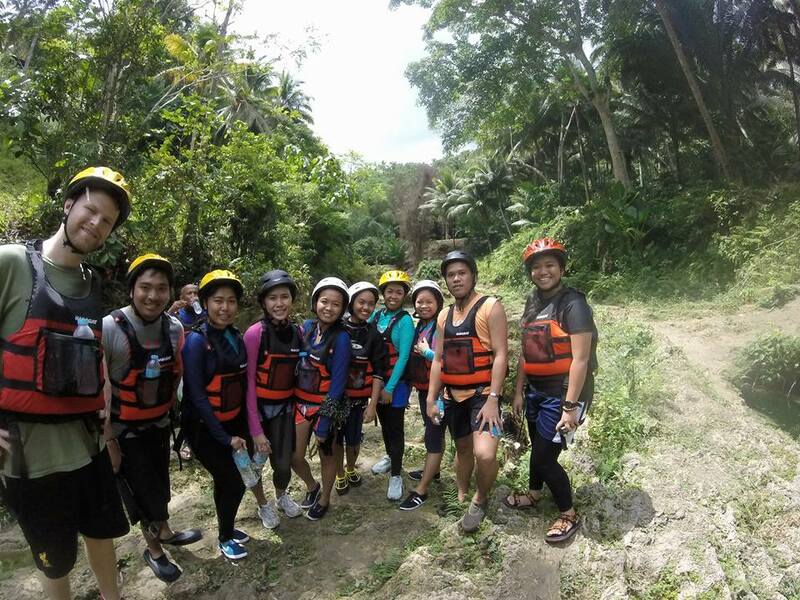 Common rate per pax goes from P700.00 – P1,200.00 depending on the number of people in your group. The more the merrier and cheaper. HAHA. The amount covers all the equipment needed, entrance fees, transportation, tour guide and food. 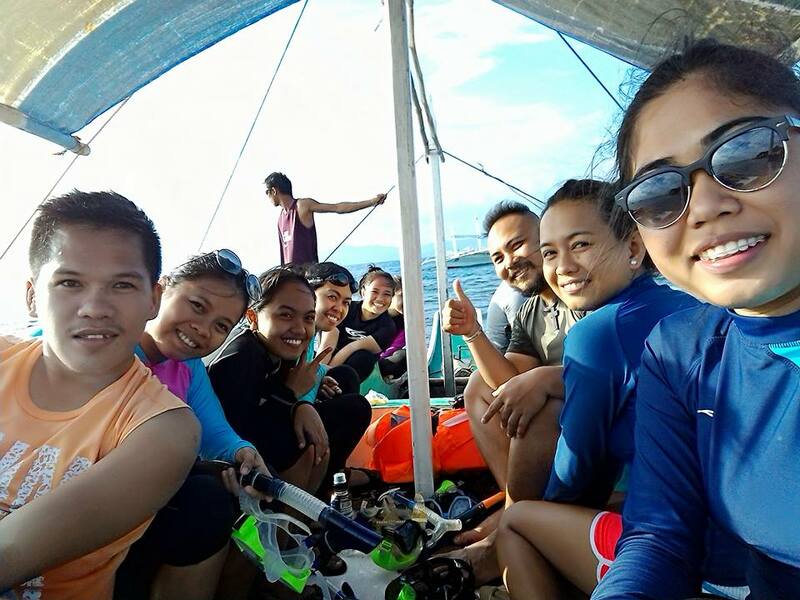 Going to Pescador Island, however, is another story but you can always approach and haggle with your guide. 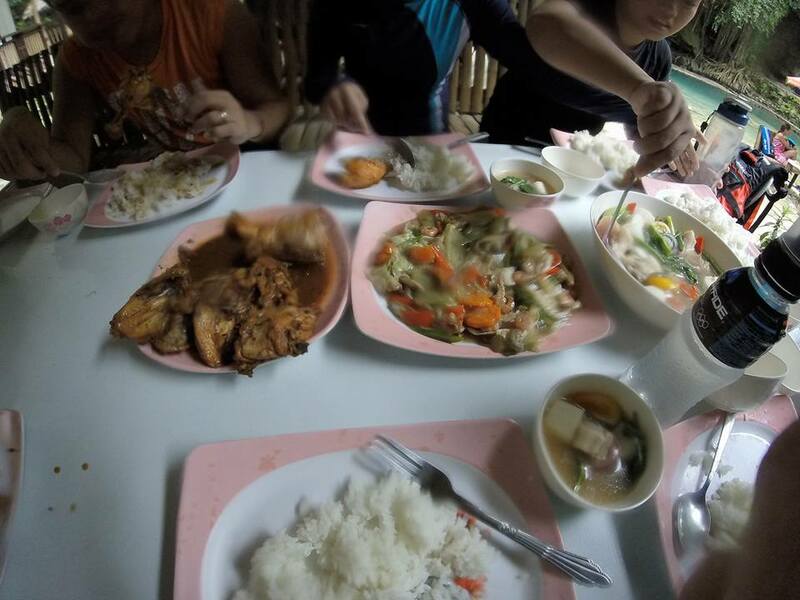 According to the boatman that we have contacted, usual rates per group goes from P3,00.00 above. 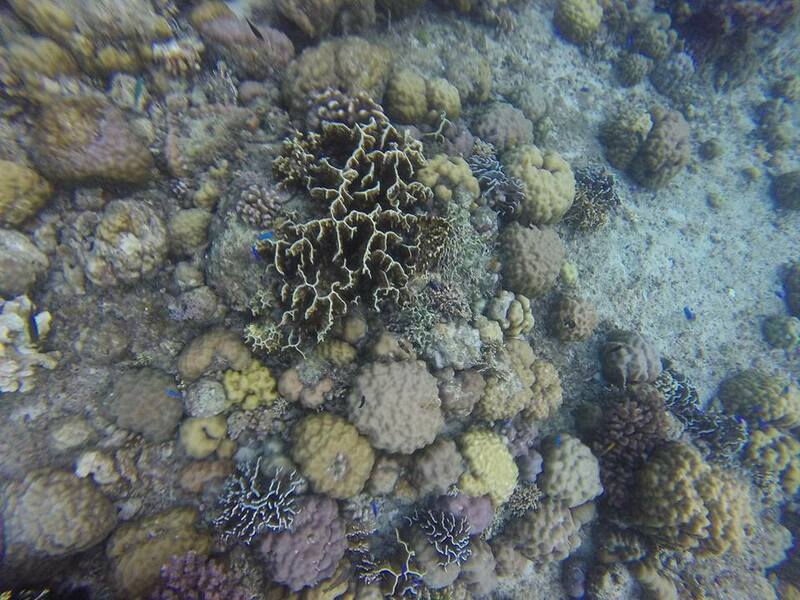 This includes equipment for snorkeling, vests, guides, fishfeeding, and boatmen. 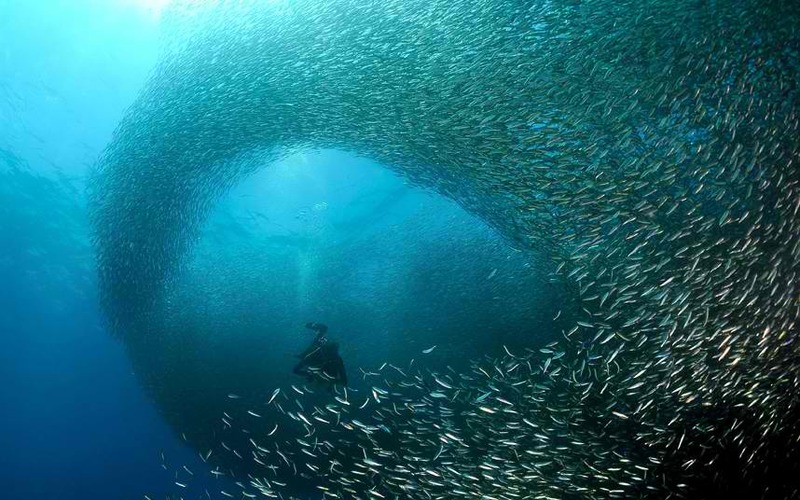 For those who are interested to meet the school of sardines, you can try free diving as well. 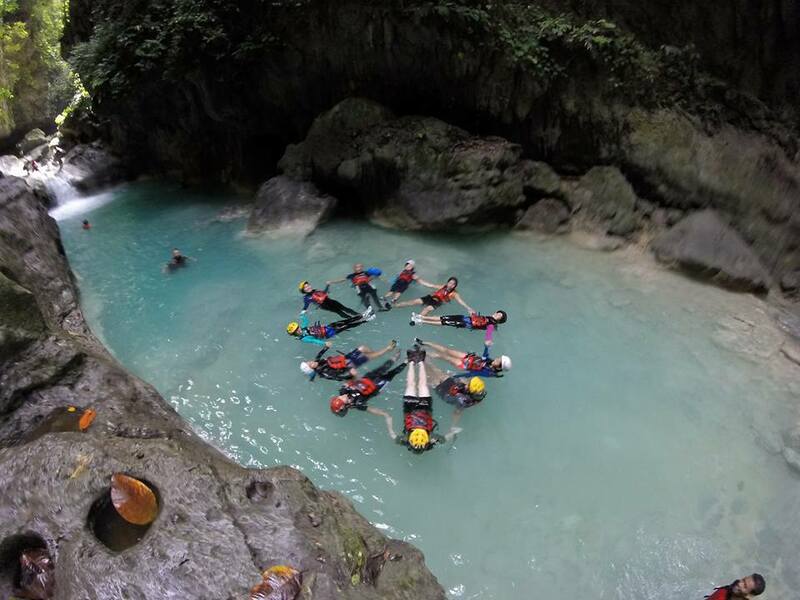 Unlike any other trekking activities, canyoneering in Alegria starts with cliffjumping. Therefore, aside from the courage to jump, you also need to lengthen your patience since not all guests will jump immediately. Some would take up to 30 minutes to 1 hour before they’ll decide to jump or quit. 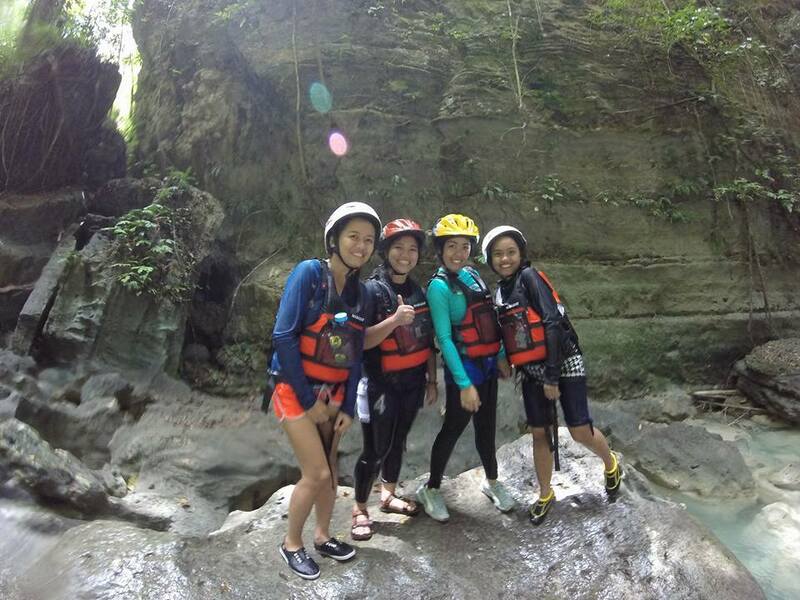 For those who really want to experience the activity but can’t find the confidence to jump, the guides will ask you to jump with them or do rapel, which is too risky and difficult for the guides. Bring extra money with you. Just in case you forgot to buy water or you’re hungry already, you can buy from the barbecue outlet on the midst of the boulders. Leave no trace. If there’s one thing that disappointed me within the trip, it’s the recklessness of many guests. There were a lot of water bottles left on some areas on the canyons and trees. Candy wrappers and barbecue sticks were placed on undesignated areas even if there were already trashbags and bins available in the area. Although there are people who maintains the cleanliness of the area, it would be of great help if people will be more responsible of their actions. CEBU: Where to go this Semestral Break? Awesome Things to do in the Queen City of the South! Haie grabe! DMD! Thank to you indeed for encouraging me and giving me the chance to experience all these. Thank you #dakilanglaagan for the wonderful piece.